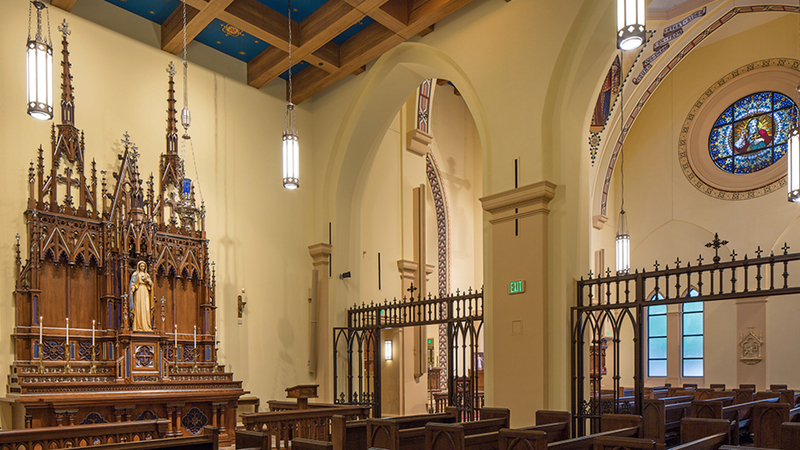 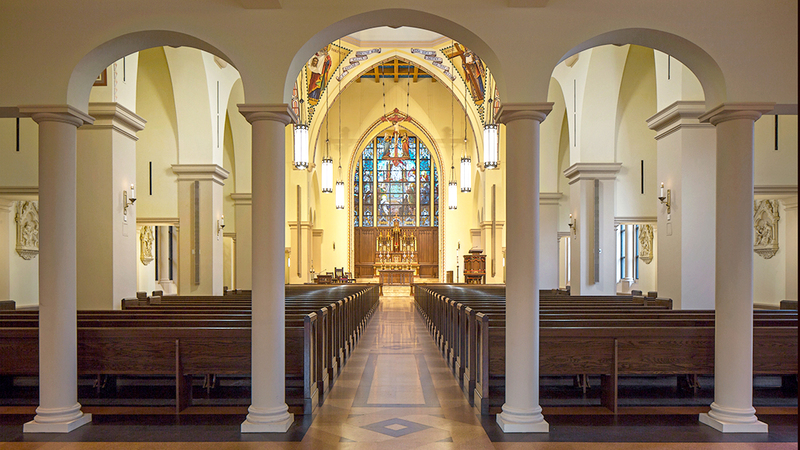 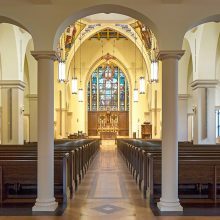 EverGreene designed and implemented the overall decorative program for a new church serving the Lincoln community and students of the University of Nebraska. 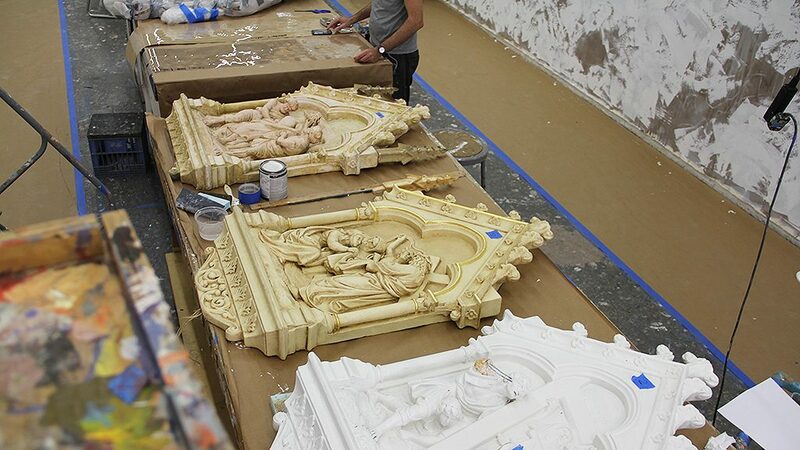 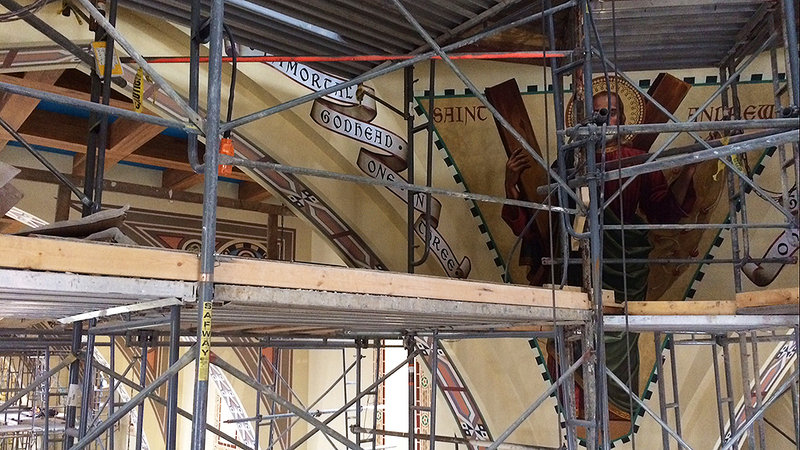 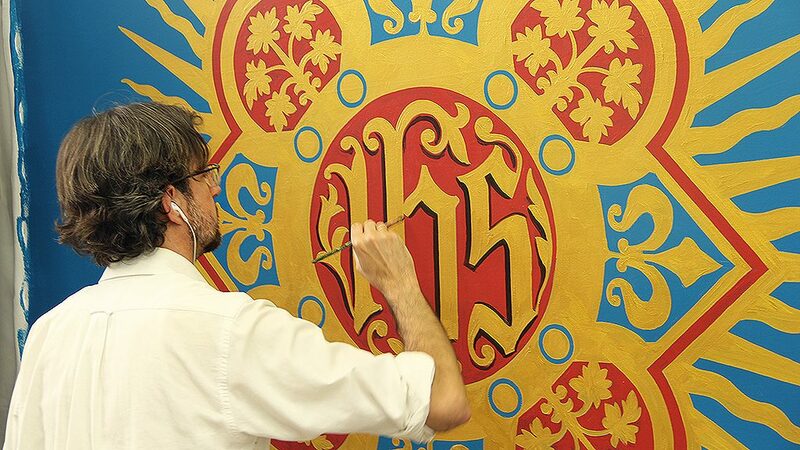 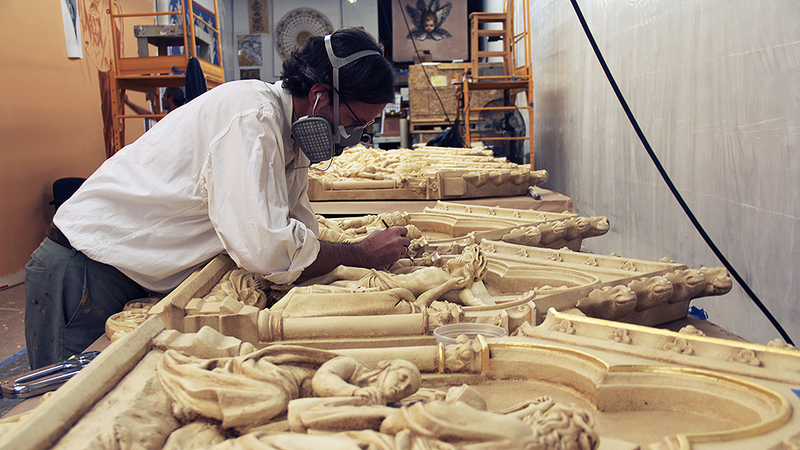 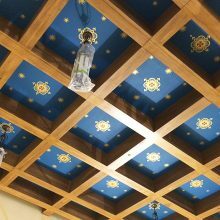 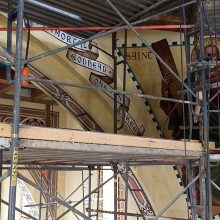 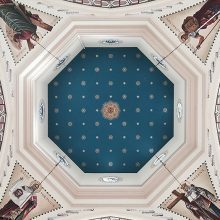 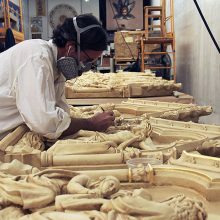 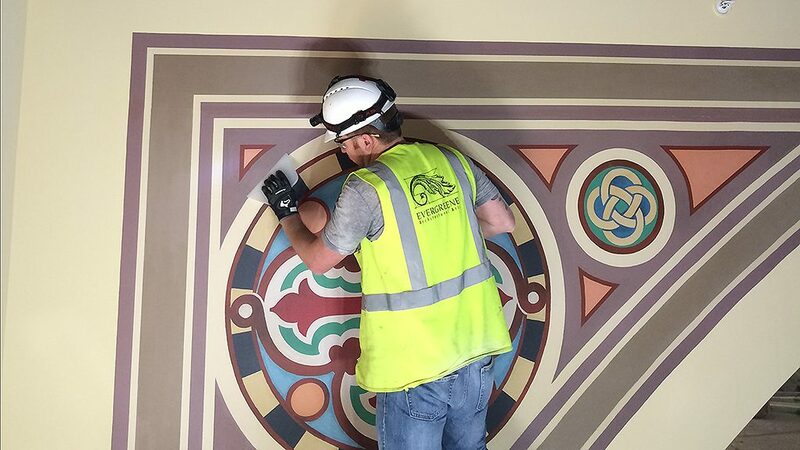 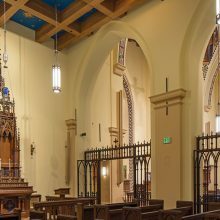 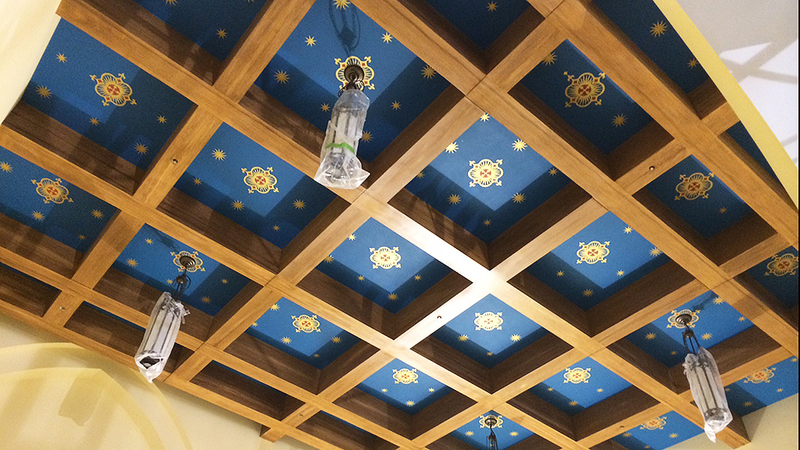 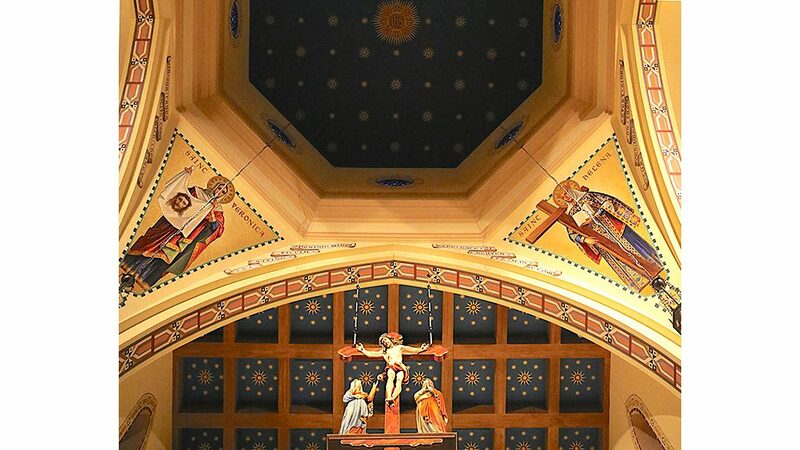 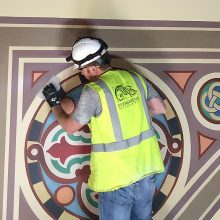 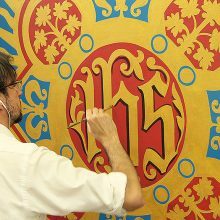 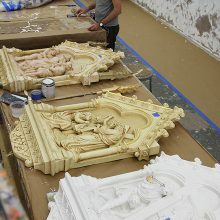 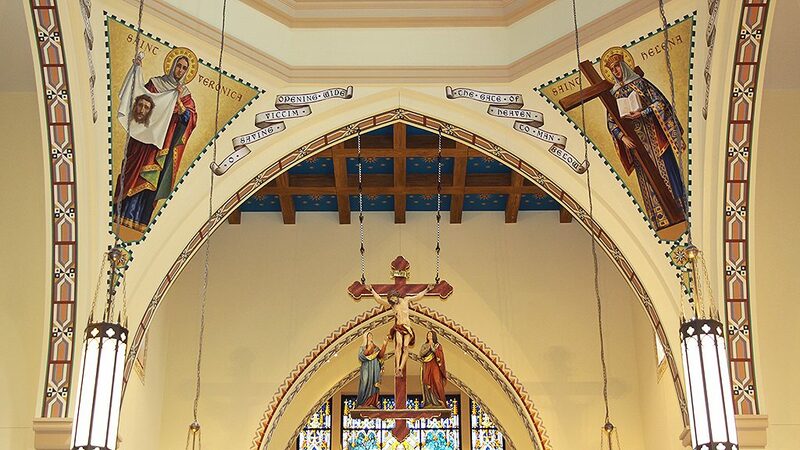 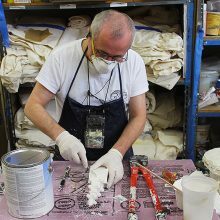 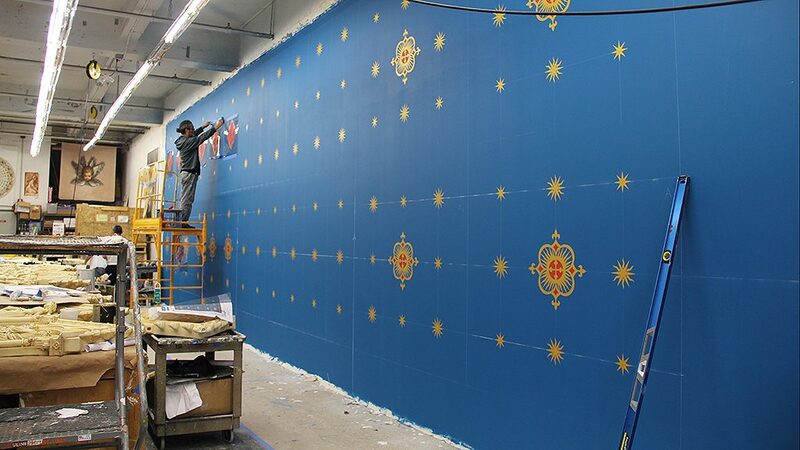 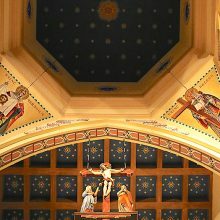 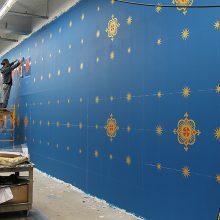 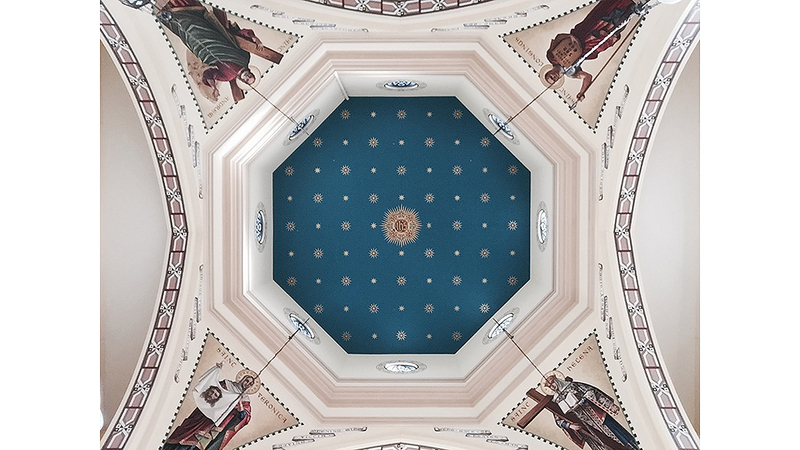 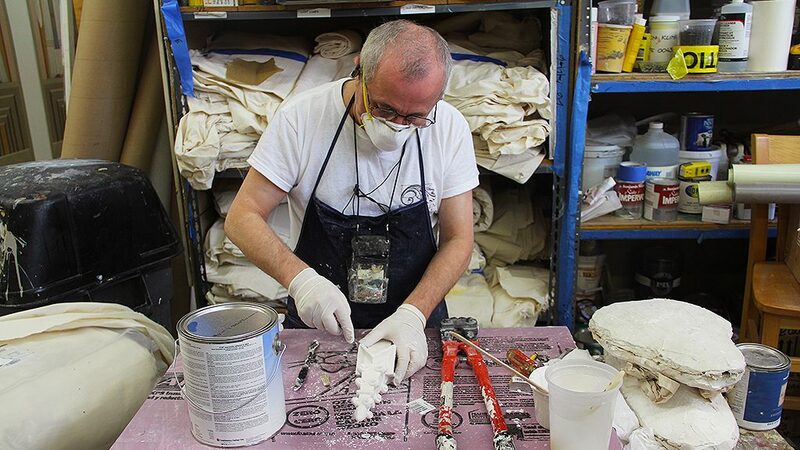 EverGreene created original designs for liturgical ornament, including decorative treatments on the ceiling, arches and pendentives and depictions of Saints Helen, Victoria, Andrew and Longinus, were fabricated in the Brooklyn Studio, and then installed onsite. 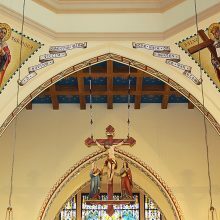 Additionally, faux-bois wood graining was implemented on the ceiling beams and fine art giclée was used for repeating decorative elements throughout the nave.